Nunavik is the northernmost region of Quebec. Stretching above the 55th parallel, this 507,000 km2 pristine territory makes up one third of the province and equals the size of France. Bordered by Hudson Bay to the west, Hudson Strait and Ungava Bay to the north and Labrador to the east, this unspoiled region presenting a remarkable displays of truly wild tundra, taiga forest, scenic mountains, majestic rivers and countless lakes is the ideal playground for nature lovers in search of a true adventure. 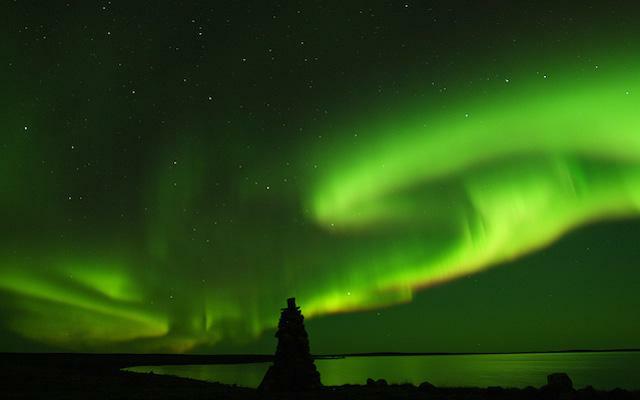 Land of the Inuit, a friendly people of many legends, Nunavik is also the realm of the polar bear, of large caribou herds, of the fabulous snowy owl and of prehistoric walruses and muskoxen, which makes for an authentic experience filled with wild encounters and mesmerizing northern lights that will translate into breathtaking photos.